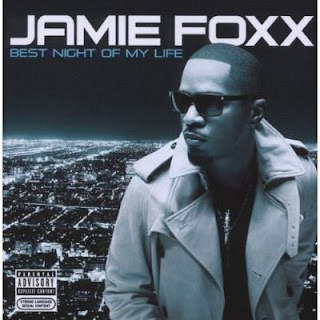 Actor/Comedian/Singer Jamie Foxx is at it again with his 4th studio album, “Best Night of My Life ”. This album is a far cry from his chart topping debut on J Records “Unpredictable ” album. On that album he was serious about making good music. On Best Night of My Life he’s more worried about making a hit song. Something that catches radio programmer’s ears and not exactly his fans ears or music buyers ears for that matter. came off sounding more like T-Pain and The Dream on much of the album. However, some of the dance tracks are catchy like single “Winner ” featuring both T.I. and Justin Timberlake. The slower/mid-tempo tune “Gorgeous” is solid reminding you of the Unpredictable days. “Fall for Your Type ” is the most interesting song, featuring the crappy actor turned rapper Drake . If you’re not a Jamie fan that supports any and everything that involves him, you can skip this album. While Jamie Foxx was having the best night of his life, you will not be experiencing the same thing.